using the parameters: myNoun, myAdjective, myVerb, and myAdverb. 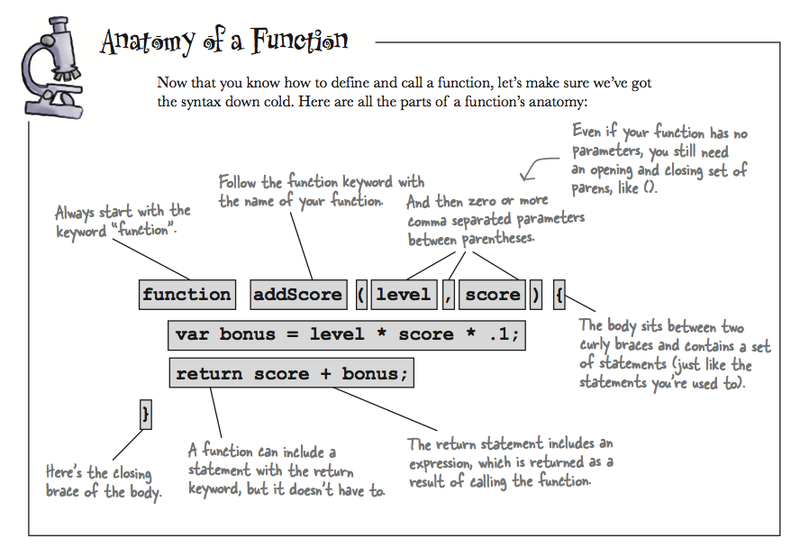 A function can have zero parameters. You still have to use the parentheses to define it. A function might have no return statements. In this case we say that the function returns undefined. The parameter myNoun gets the first argument from the function call of a string "dog"
The parameter myAdjective gets the second argument from the function call of a string "big"
The parameter myVerb gets the third argument from the function call of a string "ran"
The parameter myAdverb gets the second argument from the function call of a string "quickly"
Parameters are treated like variables that represent the values that get passed into your function from the function call (arguments). and must be in between all of the provided words. The output should be a complete sentence. // should contain all of the passed in words separated by non-word characters (and any additional words in your madlib). Parameters are values that get passed into your function from the function call.